My kind of snowman! 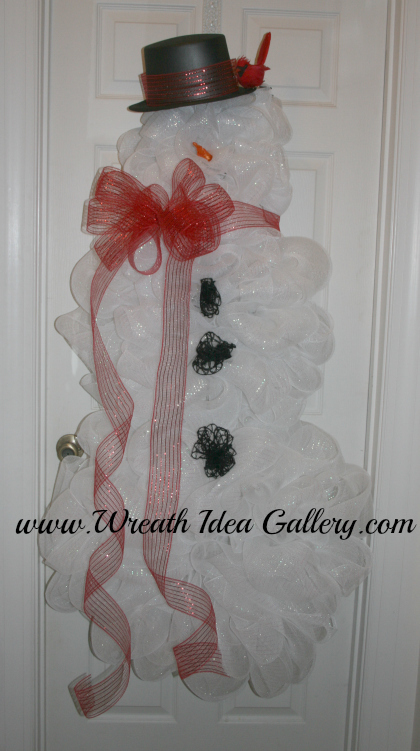 This snowman wreath has no worries about melting, he will just sparkle on your front door and wait to greet you each day, even in 75 degree weather in Florida. White Deco mesh- I used 3 rolls. 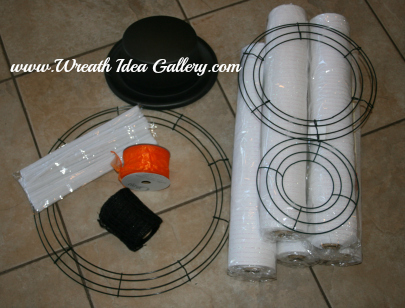 Wire Wreath Frames- I used 1-8" 1-12" and 1-16"
Your snowman can be changed to fit your Christmas Decor just by changing the scarf ribbon and the decoration on his hat. 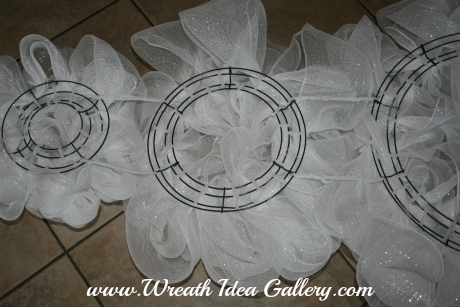 I started by making 3 deco mesh wreaths. Used fuzzy sticks to attach the deco mesh to the wire form. Next I used the fuzzy sticks to attach the wreaths together. Add your accessories. I took about 8 inches of the orange ribbon rolled it tight and then stretched it out to make a carrot nose. It is just stuck into the deco mesh, add a little hot glue to make sure it stays put. The buttons I used a jute. Make a couple loops and tie the end with a fuzzy stick. A dab of hot glue will hold them in place. Scarf is made with 6" red deco mesh ribbon. Wrapped around his neck and then made a bow and tied it to the scarf. The has is made of foam. I found it at Michael's craft store in the foam area. I added a red ribbon and a little cardinal to sit on the brim. 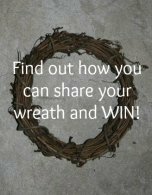 Would love to share your snowman wreath.